A recent study by PWC found that 63% of CEOs worry that the availability of key skills will undermine their strategies and plans for growth and 93% of CEOs recognize the need to change their strategy for attracting and retaining talent. Talent Acquisition leaders have been asking for a greater level of respect and understanding from the business in terms of the Recruitment function over the past number of years. More and more studies are finally showing the changing attitudes around the importance of the Recruitment function to an organization’s success. Treated as a transactional, order taking and an administrative process. There are significant opportunities for HR and Talent Acquisition leaders at every organization to take advantage of the current climate within the business on Recruitment. It’s tough to meet the growing expectations of the function when you don’t have the plan, the resources or the budget to succeed. The Talent Acquisition leader needs to take this opportunity to re-contract with the business on their expectations and present them with options on how to enhance the function. Your strategy must be realistic or the function will continue to lose credibility. Don’t try and boil the ocean and place too many stretch goals in your strategy. Your Recruitment strategy needs to come directly from the business, workforce and talent plan. Focus on what is most important for the business rather than trying to cover everything. Recruitment must be an organizational focus and priority – not just an HR one! 4) Targeting Your Talent Sourcing – At the end of the day, the success of Recruitment is judged solely on finding and hiring the right talent for your organization. 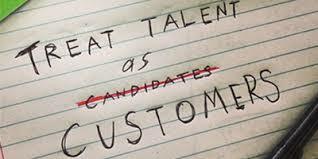 Don’t be too focused on other outcomes – there is only one outcome that matters in Recruitment, the hire! With this in mind, I am always shocked with the number of Recruitment functions not focused more on sourcing talent. There are so many organizations simply waiting for talent to come to them through a post and pray sourcing strategy. With so much importance on hiring the right talent for your organization, why are you waiting for talent to come to you and hoping the right person sees your posting. Don’t leave your candidate sourcing approach to chance, change the sourcing mindset of your organization and target the right candidates from the start. The first thing to do to enhance your talent sourcing is to ensure you are getting the most out of the sourcing tools you are already paying for. Organizations continue to spend a significant amount of money with LinkedIn yet don’t leverage the platform for everything it can do. The second thing to do is setup dedicated resources focused on finding the right candidates. The best-in-class Recruitment teams have integrated a dedicated candidate research and sourcing approach into their Recruitment practices. There are many talent research and sourcing options to look at to compliment your Recruitment team including utilizing an outsourced approach to targeted research. Leverage your current top performers within your organization and build a “How can I recruit you again” profile. Understand what makes them a top performer and why they are so good in their roles within your organization’s culture. Leverage this data along with understanding how they would approach looking for a new opportunity thinking of how you can find more candidates like him/her. Never wait for the right talent to come to you – it is too important to the success of your organization to rely on chance with Recruitment. 3) Developing Your Hiring Managers – Every organization has a handful of great hiring managers with whom the Talent Acquisition team always enjoys working with. These are the hiring managers who recognize the importance and impact great talent has on the success of an organization. Unfortunately the majority of Hiring Managers are a challenge at every organization. From their unrealistic expectations on hiring skills and experience for their open roles, to the organizations’ lack of confidence in their Hiring Managers’ abilities to appropriately interview, assess and select the best candidates for their roles, Hiring Managers are often doing more damage to the hiring process than good. Most Hiring Managers might only recruit and interview talent once or twice a year and aren’t naturally comfortable or confident in conducting interviews. Candidates have access to more tools and training on interviewing than ever before allowing them to be more skilled and better prepared. Websites such as Glassdoor even provide candidates access to the interview questions your organization is most likely to ask them. All candidates will exaggerate their skills, experience and accomplishments on their resume and in an interview – how confident are you in your Hiring Managers’ ability to see through the candidate “fluff”. The majority of Hiring Managers interview candidates solely for the role they have open today and rarely look at the candidates’ long term potential and organizational fit. The goal for every organization should be to develop all of their Hiring Managers to be “great” at conducting interviews and selecting the right candidates. Talent Scouts – sourcing talent throughout their networks. Talent Ambassadors – promoting a positive candidate experience. Talent Assessor – acting as a peer interviewer to select the right talent for their organization. Recruiters also play a key role as a coach and advisor ensuring the Hiring Managers are properly prepared and equipped to conduct their interviews. Finally, the most progressive organizations have integrated recruitment and hiring into their core leadership accountabilities ensuring that talent acquisition is an organizational focus and not just an HR priority. 2) Smart Use of Social Recruitment & Candidate Engagement – We all know the impact social media has had on talent acquisition functions over the past number of years. Social media continues to have the potential to revolutionize recruitment as we know it. Unfortunately many organizations are still struggling with how to effectively manage and leverage this platform. Best-in-class organizations recognize that social media is simply one of a number of different talent acquisition platforms, programs and practices which contributes to their recruitment success. They understand that everyone uses different social media platforms for very different reasons. The smart organizations know which social media platforms generate their best talent outcomes with data analytics – they understand where their quality talent is coming from and leverage this understanding to generate more successful results. They focus on quality over quantity in terms of talent. Most organizations aren’t very selective in terms of their social media reach and they struggle with the enhanced candidate flow coming into them via their extended reach. 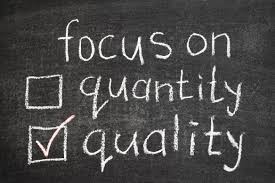 Most often, the quality talent gets lost in the quantity of talent being generated. We already know that many Recruiters are struggling with capacity challenges and simply don’t have the time to review and screen all the candidates coming to them for every open requisition. Maybe they only have time to look at the first 20 candidates that appear in the ATS – but what if the best candidate is the 21st candidate on the list or the 121st? Your organization has just missed out on the best person who likely wasn’t even reviewed by anyone. Is the higher volume of candidates straining the capacity of recruitment to find the quality talent for your organization – and also hurting your reputation with candidates in the market who never hear anything back from your organization? I continue to read studies showing that over 60% of candidates never hear back from an organization – of course, many will read this statistic and look at it simply from a poor candidate experience perspective. My mind goes right to how many great candidates have been missed by your organization and would have been a better candidate for your open position than the candidate you hired. I have always been a strong believer in a positive candidate experience but work with organizations to push beyond candidate experience and focus on candidate engagement. Candidate engagement is the next level of candidate experience – and is focused on talent outcomes for an organization going beyond a simple branding perspective. 1) Hire and Develop Best-in-Class Recruiters – The performance of your Recruiters is the number one factor in the success of a Recruitment function. It isn’t your Recruitment technology, it’s not the Recruitment tools and it’s not your employer branding or culture – it all starts with having great Recruiters. If talent drives success within an organization then talented Recruiters drive a successful Talent Acquisition function. The profile and expectations of a Recruiter have increased over the past few years – for good and bad! The enhanced expectations of an organization on its Recruiters show the increased importance of the talent acquisition function. The challenge now is ensuring your Recruiters have the knowledge, skills and competencies to being considered a great Recruiter. Knowing the labour market of Recruiters like we do at The Talent Company, unfortunately only about 20% of today’s Recruiters would be considered “great”. Many organizations are beginning to hesitate when hiring experienced Recruiters and are looking at alternatives including hiring individuals with more of a sales and marketing background and train them on becoming a great Recruiter. What makes a great Recruiter in today’s market? A great Recruiter is someone who is passionate about their role, is authentic and shows a genuine pride in their organization. They need to understand their organization, industry and the labour market. They need to coach, influence and build relationships with both business leaders and candidates. They need to research, network, market, and sell. Of course, all these skills mean nothing if they aren’t able to close the deal with candidates – it’s should always be about the outcome! Never underestimate the importance of having great Recruiters to your organization. A great employer brand in the market is nice but you need a great Recruiter to enable your organization to take full advantage of your brand with great talent in the market. All the best Recruitment and Talent Acquisition programs, technologies, tools and practices are meaningless without a great Recruiter who enables these platforms to succeed.